Hodgkin's lymphoma. 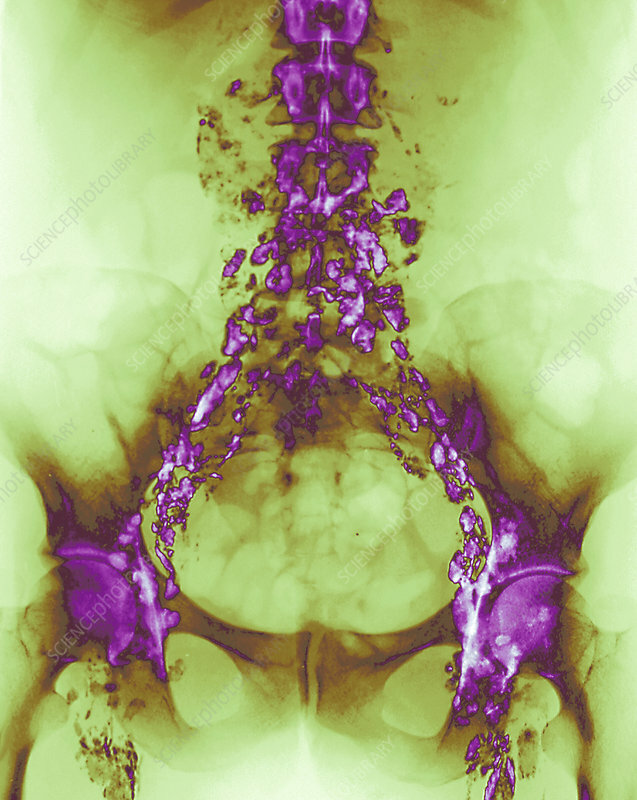 Coloured lymphangiogram X-ray of a young girl with growths (purple) in her abdomen due to Hodgkin's lymphoma, a malignant (cancerous) growth of the white blood cells (lymphocytes). Hodgkin's lymphoma is characterised by the presence of Reed-Sternberg cells, a giant type of macrophage. It is most common in young adults and those over 50. The most common symptom is swollen, non-painful lymph nodes in the upper body. The cause is not known. Treatment is with radiotherapy and chemotherapy.